Round Diamond Vintage Ring in 14k White Gold | Shane Co.
Thirty-two shimmering diamonds, at approximately .27 carat total weight, were hand-selected and hand-matched for supreme sparkle and brilliance. The dazzling gemstones are set in quality 14 karat white gold with milgrain detailing for a vintage-inspired look. The geometric design measures 10.5mm at the center and 2mm at the band. 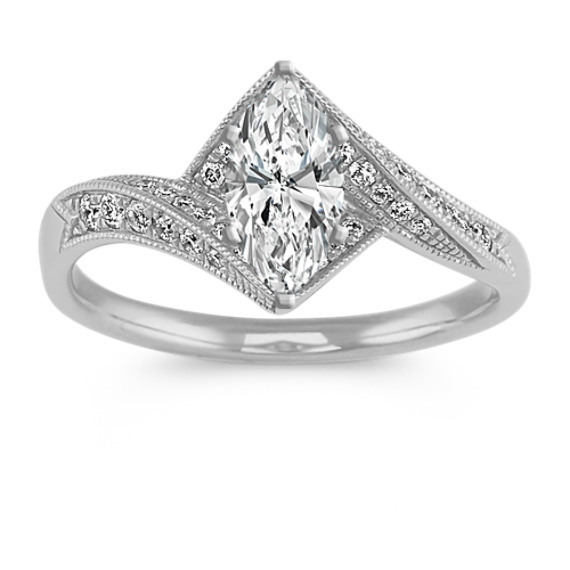 Simply choose the center gemstone of your choice at approximately .75 carat and create a ring she will never forget.